What’s in a list of great movies? And who decides? A while back, the culture desk of BBC.com polled the world’s movie critics — 177 of them, anyway — and asked them to name the best films of the new millennium. The results were released this past Tuesday and there was much gnashing of teeth and rending of hair, or the Internet equivalent thereof. Despite the fact that there are three Oscar-winners in that list — “Spirited Away,” “A Separation,” and “No Country for Old Men” — not to mention more in the 90-odd films that follow, it’s a rigorous lineup that eschews whatever it is that modern American commercial cinema has become. If you’re the kind of person who equates “best” with “most popular,” you might even be appalled by the BBC lineup. 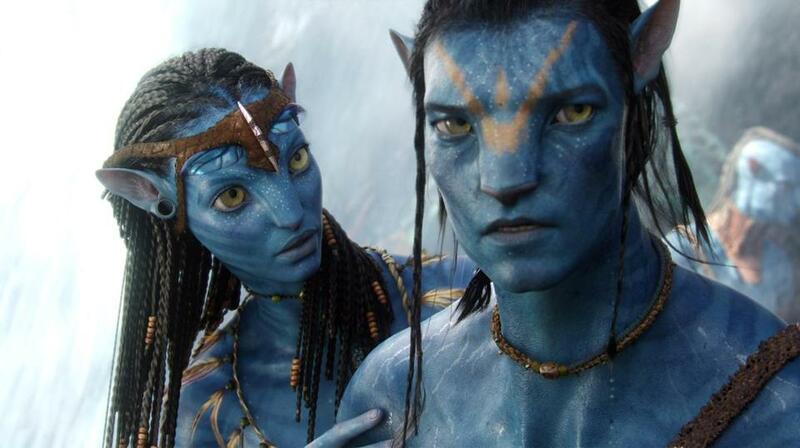 Where’s James Cameron’s “Avatar,” the highest-grossing movie of all time? A hint at how and why a movie critic might diverge from popular tastes can be gleaned by a look at the films that follow “Avatar” on the list of the 2000s’s top 25 all-time box office champions. One “Transformers” movie, two “Pirates of the Caribbean,” three “Lord of the Rings,” six “Harry Potter”s — these are the big-budget circuses predicated on familiarity from other sources (Hasbro, Disney, Tolkien, Rowling) and the promise of both fidelity and sensation. Some of them are exquisitely made; all of them are brilliantly hyped and marketed, because that is what Hollywood actually does best nowadays. The BBC list, by contrast, privileges the small over the big, the artful over the loud, the dramatic over the comic, and the weird over the normal. There’s a tiny bit of overlap between the Beeb and the box office — “The Dark Knight” and “Finding Nemo” made both lists — and it’s worth noting that movie critics do, in fact, value entertainment and blockbuster sensationalism as long as they’re backed up by craft and thoughtfulness. (Are you listening, Hollywood?) Any list that includes four Pixar films (“Nemo,” “Ratatouille,” “Inside Out,” and “WALL-E”), “Inglourious Basterds,” “Almost Famous,” and “Mad Max: Fury Road” is not wholly averse to the pleasures of pleasure. Taken as a whole, though, the BBC list reflects the ever-increasing chasm between critical tastes and popular mainstream commercial tastes -- and that’s what’s healthy about it. Even healthier is that it’s an imperfect listing, as all canons have to be, and one worth arguing about. Full disclosure: I was invited to take part in the poll but because of work and life obligations I didn’t get around to making my list before the deadline was past and, hey, sometimes that’s the way it goes. But the full list of 100 holds water as far as I’m concerned, aside from a few glaring leaks (see below). And it bolsters a point that I’ve been making for quite some time. My friends know it as the jazz-club metaphor. Back when my mother was a teenager, in the 1940s, you listened to jazz music because that’s mostly all there was. You went with your friends to big band venues, large arenas where everyone’s taste monolithically agreed, more or less. Six or seven decades later, after rock has come (and largely gone) and hip-hop/pop rules the commercial marketplace, the remaining jazz fans are by definition cognoscenti. They gather in small clubs; they know the history and the heirs; they can appreciate dissonance and consonance alike. They’re connoisseurs. Like it or not, this is what happens when you become a critic — in any field — and get to know a medium well. You start to see things, often smaller things, that you hadn’t before, and you come to value them. The multiplexes are our new arenas and they draw the crowds with their superhero circuses, but the art-house cinemas have become the equivalent of jazz clubs, playing to keepers of the flame who like their movies to fight back at least a little. So the BBC list is daunting and even sometimes risible in its insistence on what the ordinary lumpen-moviegoer would consider “difficult” cinema —two films by Hungary’s Béla Tarr that define “slow cinema”; three by the dazzlingly oblique Thai director Apichatpong Weerasethakul.There aren’t nearly enough films directed by women (11 out of 100), just as there weren’t enough female movie critics consulted (31 percent of those polled). That’s a problem that embraces the entire industry and from which the BBC is not exempt. But the “best” in a list like this is always going to honor the work that challenges, that tickles the outer fringes of one’s fancy, that demands too much of you so that you may become a broader, more thoughtful person. And of course your list is going to look different from anyone else’s. Mine does. I look at the BBC canon and think: no “Beasts of the Southern Wild,” an outsider film with a bayou vengeance? No “I’m Not There,” Todd Haynes’s surrealist Bob Dylan biopic and a movie that’s perhaps the most prescient ever made about stardom and persona? I’d gladly put those two on my list and jettison, say, Lars von Trier’s unbearably smug “Dogville” or “Inside Llewyn Davis,” the least masterful of the Coen brothers’ recent run of masterpieces. On the other hand, I can live with “Mulholland Dr.” as the best the new millennium has to offer to date. David Lynch’s most logical movie — really! — just missed being among my Top 10 for the first decade six years ago and it’s a movie that gets richer, stranger, better every time you come back to it: A work that’s two-thirds dream and one-third waking life, it says plenty about the ways the American entertainment industry — our own dream factory — is and always was founded on the selling of souls. There’s this, too: What truly sets apart the BBC list — and the thinking behind it — from the way many people consume movies is that the 100 are almost all personal works. The auteur theory still holds for those who truly love this medium, if only because we value the handmade object over impersonal factory product. Where the masses want to be diverted, the rest of us want to connect, and that usually involves a human sensibility tackling his or her medium in fresh, impactful, sometimes mysterious ways. For all that — what, no Steven Soderbergh movies on the BBC 100? So it’s not perfect. It’s never perfect. Lists are ridiculous necessities that attempt to forge consensus out of unique and personal passions. But they’re a place to start if you want to widen your conceptions of what a medium can do that embraces both entertainment and art. The point of a list is not to beat you over the head with someone else’s taste. The point is to get you to see some of these movies yourself, fall in love with the ones that speak to you, and start making a list of your own. Ty Burr’s absurdly belated list of the 25 best movies of the new millennium, in alphabetical order because enough already with the ranking, with title and US release date.